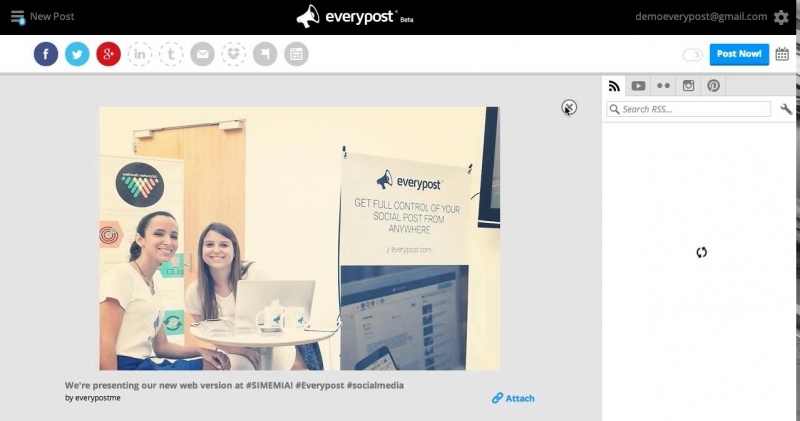 Everypost is the social media publishing tool most acclaimed by content professionals and social marketers. Everypost is the easiest and most convenient app to post multimedia content across multiple social platforms. With Everypost you can now customize your content per social network or just write and forget about the limitation of 140 characters. Enjoy a whole new way about posting.